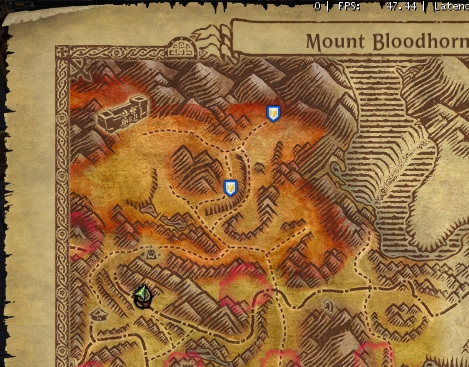 The elements could be positioned in lots of different ways to see what worked and what didn’t (it’s in this phase that all MMO UI designers discover that there are a lot of good, undeniable reasons behind WoW’s UI layout, and despite all of our best efforts, unless our gameplay is fundamentally distinct, our UI’s will look somewhat similar). The wireframes could be shown to producers for approval. We didn’t get many change requests, but this buy-in bought us some armor for later on. We could build modability into the game. 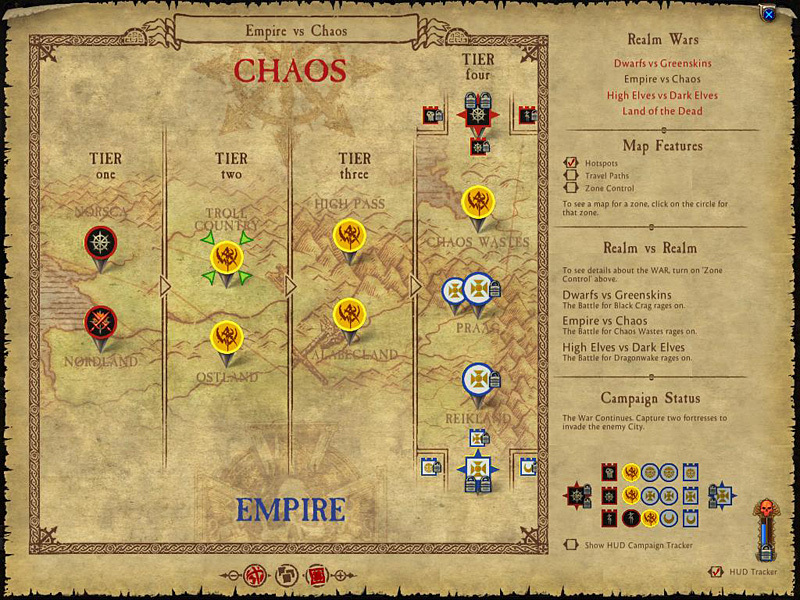 Instead of needing to download UI mods, users could move their UI around into whatever layout they wanted inside the game. 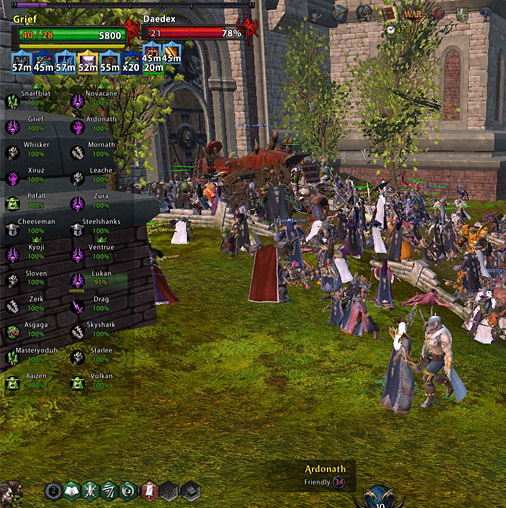 One of these options could be to add tons of hotbars – one of the first things advanced MMO players want to do. We could start the game off with lots of things hidden (we are still getting this in). 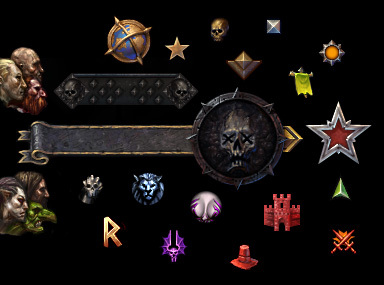 New players would see a very very simple UI, while elder players could show as much complexity as they liked. My biggest challenge here was trying to keep all of our progress bars from competing visually. In most MMO’s you gain XP. 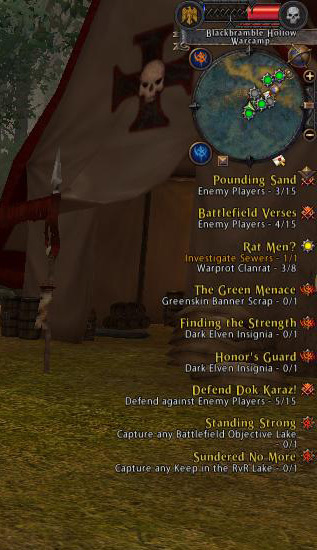 In WAR we have XP, Renown, Influence, Victory Points, Morale, and some classes have a combat mechanic that fills up over time. . . yikes. There is also something clunky with the quest tracker and all of the event announcements we do (things like achievements and “You Have Entered:” messages). After settling on the wireframe layout, I worked my way around the screen texturing all of the individual elements and giving them detailed designs. By mocking up every possible state of the object I gained two valuable things. The mockups were both a detailed functional design and all of the art assets needed. I would put these mockups together into documents that we could give to programmers and to producer-types for final approval. There were some interesting tasks that came up during all of this. 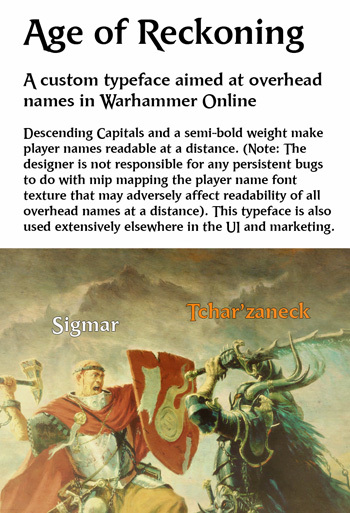 I made a custom font for our player names, called Age of Reckoning. 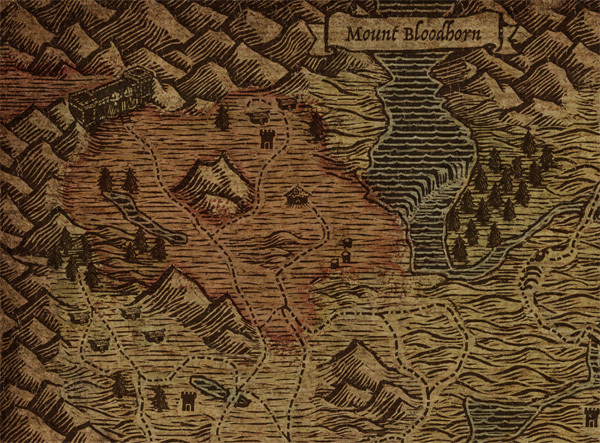 I developed the style for our maps and a workflow that allowed us to cheat and complete 30+ of them very rapidly. There was a metric assload of tiny icons to draw. There were probably 20 artists who pitched in on the various sorts of icons. That’s the overview of my role in the team as the hybrid designer/artist. There were a lot of fine programmers working with us, as well as Terro Veun, the other UI artist, and Carrie Gouskos, the UI lead. Given what we were up against, I am extremely proud of what we were able to accomplish. This entry was posted on October 1, 2009. It was filed under Default, Text. I’m doing UI art right now, I check this page every time I feel like throwing my cintiq through a window. 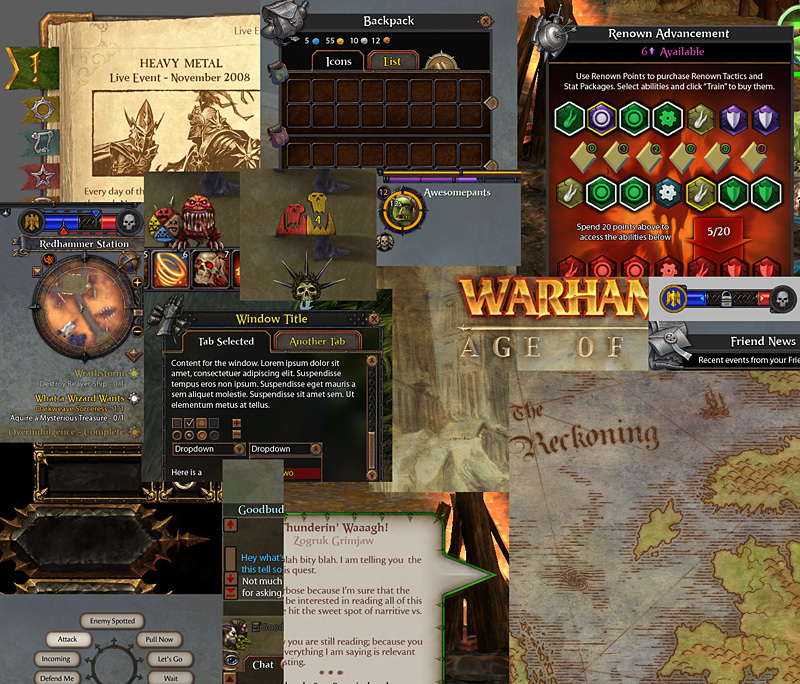 You’re artwork is great and this UI article is inspiring, I play Warhammer and to get a glimpse of the work that went into it is a real treat. Thanks for this behind the scenes look. Interesting, and some good points. I think a lot of people overlook actually being sociable online and interacting with others. 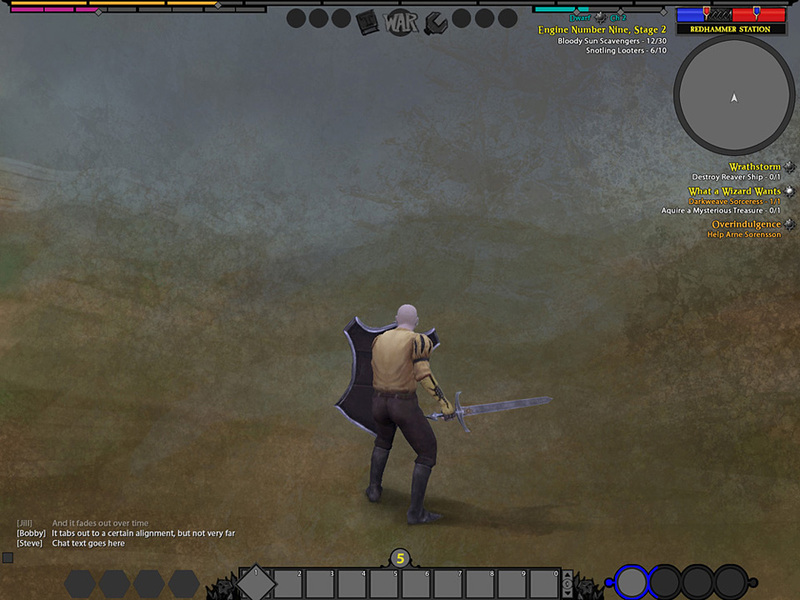 Really inspiring work, best UI for an MMO artistically. I know how much work goes into making UI.